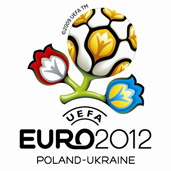 President Viktor Juszczenko accused the Ukrainian government of breaking promises concerning the financing of EURO 2012, calling into question the progress of preparations criticized recently by the UEFA. According to Juszczenko, the government has provided so far only 5 percent of 945 million dollars which were to be devoted to the organization budget of Euro 2012 this year. – The programme of financing Championships is at risk – announced the president. – Together with the head of the central bank and the finance minister we have to consider ways to find needed resources – he added. Juszczenko called on the above-mentioned institutions to submit within a week a detailed plan of giving money for financing the construction of stadiums and other investments. Juszczenko’s criticism is a response to the statements of Prime Minister of Ukraine Julia Timoszenko. The political rival stated that despite the global economic crisis, preparations for the Championships are going ahead without any problems. She supported the earlier statements concerning the organization of the event in four Polish and four Ukrainian cities. In May, Michael Platini drew attention to major problems with the infrastructure and possibilities of giving fans accommodation during Euro 2012. At the beginning of July the head of UEFA reiterated his concerns in an interview with French journal L’Equipe. He talked about the possibility of transmission of the organization Euro to Germany if Ukraine does not catch up.